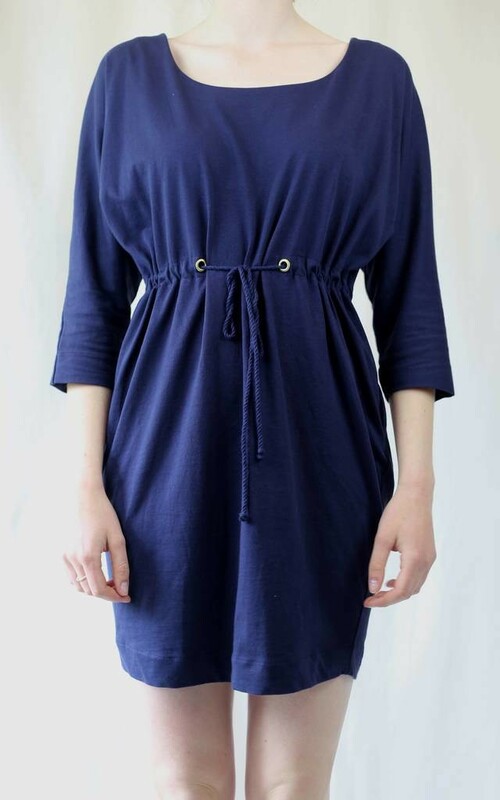 Keep comfortable and cool this summer with this drawstring waisted dress. A casual, relaxed fit, it has batwing sleeves, straight skirt at a short length and drawstring detailing at the waist. This dress also has a bateau neckline, pockets . A classic simple day dress, fantastic for any occasion.